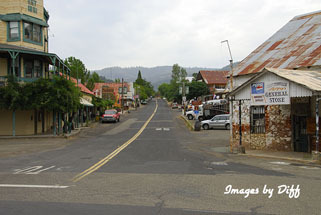 click photo to enlarge In 1849, placer mining supported a growing town. 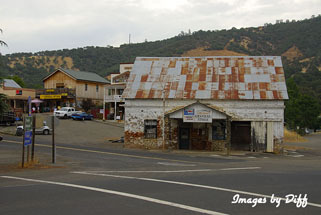 Then, in early 1850, George W. Coulter and George Maxwell established a small tent store at this location to supply miners working the placers in Black, Boneyard and Maxwell Creeks. 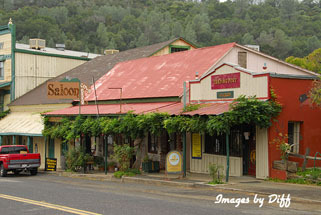 He followed up the store with a hotel, and the center of the town was established. 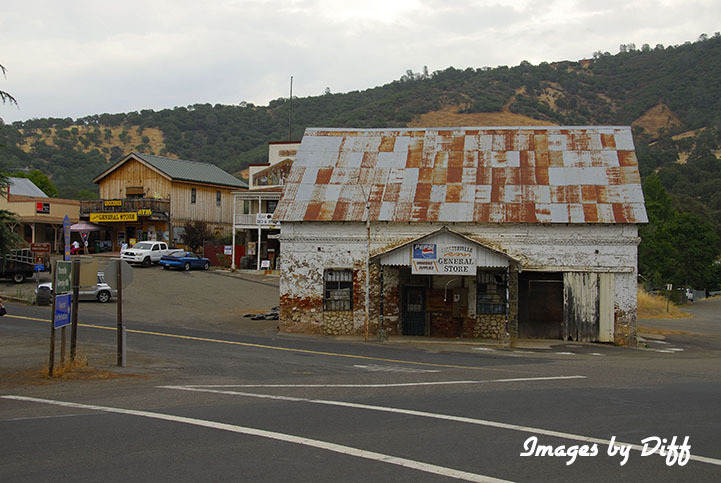 In 1852 the discovery of gold at the Malvina and Mary Harrison Mines really caused the town to grow. click photo to enlarge In 1862 huge floods in California caused a lot of damage. All buildings along the greek were heavily damaged or destroyed. Then in 1879 a conflagration caused half the town to burn to the ground. Fires were a common problem in early American history. 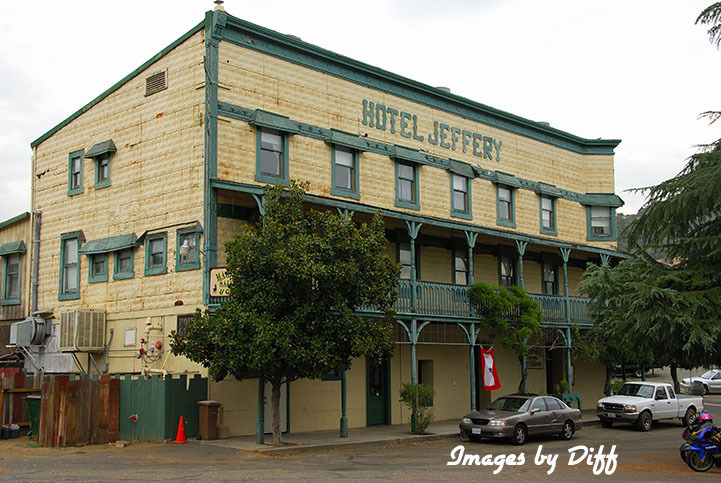 click photo to enlarge The three story Jeffery Hotel was built in 1851 for stagecoach passengers on their way to Yosemite. The hotel has had many famous guests including Teddy Roosevelt, Mark Twain, John Muir and others. It operates today as a hotel and restaurant. The Sun Sun Wo Store was just out of town. The Chinese had to live just out of the town proper. 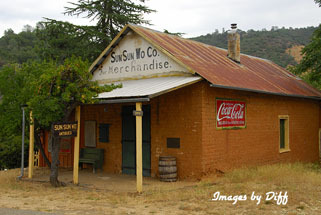 It is an old adobe built in 1851. In the back of the store is a room that evidence exists to show it was an Opium Den. Too bad I couldn't get a photo of it without the Coca Cola plastered on it since it didn't exist then.